Bhavan's Research Center (Microbiology) was instituted in April 2005, by the Faculty of the Department of Microbiology – Bhavan’s College, in partnership with one of the prestigious management institutes of India - S.P. Jain Institute of Management and Research (S.P.J.I.M.R), Mumbai. BRC is an entrepreneurial knowledge center created to promulgate research and analysis for the industry and strives to bridge academia-industry gap. It is proud to be one of the few academic enterprises in the country to be ISO/IEC 17025: 2005 accredited by National Accreditation Board for Testing and Calibration Laboratories (NABL) and the only laboratory accredited by them for certain specialized tests in the areas of Hygiene and Water Microbiology. 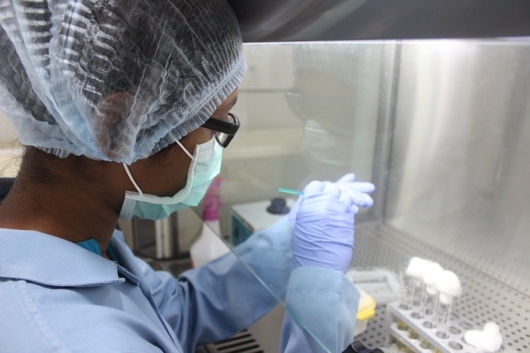 The research center has the expertise to provide services predominantly in the areas of Water, Hygiene, Cosmetic, Food and Environmental Microbiology. It partners with several Indian and Multi-National Industries for in-vitro and in-vivo claim support, time-kill and antimicrobial studies for home and personal care products, including bio-burden testing, pathogen detection and preservative efficacy testing. It routinely conducts test for monitoring performance of domestic water purification systems for microbiological (bacteria, virus and protozoa) parameters. Besides analysis, BRC undertakes sponsored R & D projects that are tailored to the needs of the industry. Over a period of time, it has developed proficiency in specialized areas such as Microbial Risk Analysis (MRA), Quantitative Microbial Risk Analysis (QMRA) and Predictive Microbiology and liaises with National and International organizations in collaborative studies. We would like to leverage and apply this expertise with Government Agencies and Industries, in areas of food, water and hygiene, to help us gain deeper knowledge of mitigating food and water borne diseases and enhance shelf life of food products.